Amigurumi is the Japanese art of crocheting stuffed creatures made of yarn. Literally speaking, ‘ami’ means ‘crocheted’ and ‘nuigurumi’ means ‘stuffed doll’. With over 30 projects, there’s enough in here to keep you busy for a long time. So pick up your hook, select your yarn and get crocheting! I have an exciting announcement to make! As the crochet designer of Sweet Softies, I am deeply humbled to say that my patterns have finally made it to published print! 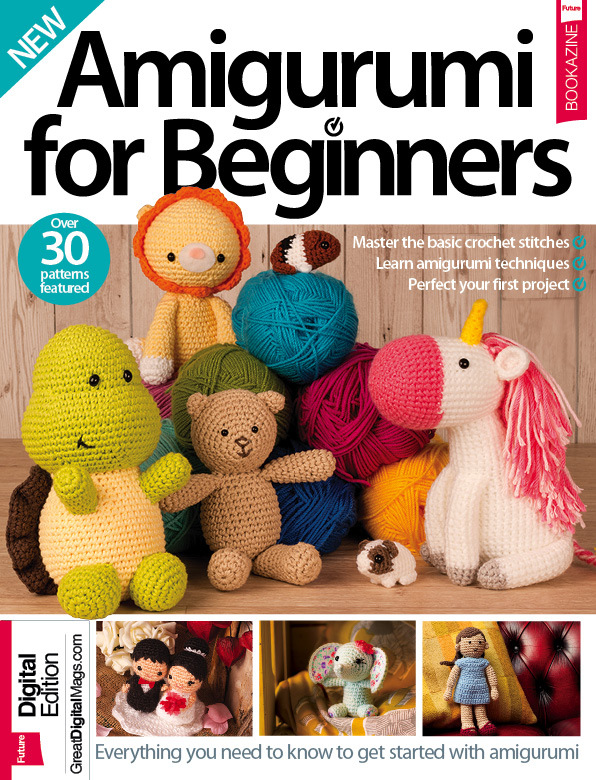 My Wedding Dolls, Tiny Princess, and Baby Sloth patterns are available in the bookazine, Amigurumi for Beginners, from Future Publishing! Amigurumi for Beginners is an amazing collection of 30 beginner-friendly amigurumi projects. Please do check it out!